Program: An ACGME-accredited 12 month fellowship in Blood Banking / Transfusion Medicine is offered at the University of Illinois Hospital and Health Sciences System, directed by Sally Campbell-Lee, MD. The Medical Center is a 441 bed tertiary care university hospital which supports an active solid organ and bone marrow transplantation service. Comprehensive transfusion and hemapheresis services stress clinical transfusion medicine and consultation, allowing development of technical and administrative skills. The fellow will gain extensive experience in therapeutic hemapheresis, stem cell collection and processing, immunohematology, transplantation immunology (bone marrow, stem cell, liver, kidney, pancreas and small bowel transplantation), blood management, histocompatibility testing, and coagulation as well as exposure to donor recruitment and management and component manufacture through our collaborative agreement with our blood supplier, Lifesource Blood Center in Chicago. Research is strongly encouraged. Requirements: Applicants for this fellowship must have completed training in an ACGME approved residency in Anatomic and Clinical Pathology or Clinical Pathology by July 1, 2020. Applicants completing training in Internal Medicine or Pediatrics who either are completing, have completed, or plan to complete a fellowship in Hematology will also be considered. Stipends: Commensurate with level of training. The website of the Graduate Medical Education Office (https://chicago.medicine.uic.edu/education/graduate-medical-education-gme/)contains specific information regarding stipends and benefits. This one-year, ACGME-accredited fellowship program provides comprehensive training in diagnostic cytopathology with emphasis on fine needle aspiration cytology and the application of ancillary studies especially immunohistochemistry in workup of tumors of unknown primary. The cytopathology service at Geisinger Medical Laboratory processes more than 32500 gynecologic, 8050 non-gynecologic and 5300 FNA cases per year. The laboratory is fully automated and utilizes both Sure Path thin-layer technologies with computer-assisted primary screening as well as Thin Prep technologies for the cervical screening specimens. The technique of fine needle aspiration biopsy is heavily emphasized; a fine needle aspiration clinic is operated daily. The fellows will gain significant experience in the performance of fine needle aspiration and on-site interpretation for imaging guided biopsies. Ancillary tests such as immunocytochemistry, flow cytometry, and molecular diagnostics are routinely a part of the evaluation of variety of cytology specimens; the fellows will gain in-depth of training in the application of immunohistochemistry by the faculty members with expertise in the field. The fellows will be responsible for weekly tumor board conferences. Sign-out occurs under direct staff supervision with graduated responsibilities assigned as competence is demonstrated. • Applicants must be Board certified or eligible for certification in AP/CP or AP, and have (be eligible for) a Pennsylvania Medical License. • Geisinger is an integrated health services organization widely recognized for its innovative use of the electronic health record, and the development and implementation of innovative care models including ProvenHealth Navigator, an advanced medical home model, and ProvenCare program. Description: This one-year ACGME approved program provides instruction and experience in hospital and blood center transfusion medicine. The trainee actively participates in routine and complex serological evaluations, perinatal testing, component collection and therapy, therapeutic apheresis, hematopoietic progenitor cell collection, quality processes, HLA, bone marrow transplant, flow cytometry, and information management at Wexner Medical Center at The Ohio State University (950 beds), The James Cancer Hospital (160 beds), Ross Heart Hospital (160 beds), Nationwide Children's Hospital (350 beds) and the Central Ohio Red Cross Blood Services. Both clinical and basic research in the areas of transfusion medicine and hematology/thrombosis/hemostasis are available and protected research time is included. Requirements: Candidates must successfully complete USMLE Step III prior to their Medical Staff appointment at Wexner Medical Center at The Ohio State University. They must also be Board-eligible or Board-certified in clinical pathology, anesthesiology, internal medicine, obstetrics/gynecology, pediatrics, surgery, orthopedic surgery, plastic surgery, colon and rectal surgery, neurological surgery, or thoracic surgery, or a primary certificate plus a subspecialty certificate in hematology. Applications and Inquiries: All fellowship applications are to be addressed to Scott Scrape, MD, Transfusion Medicine Fellowship Program Director. Applications are to be submitted via email to Courtney Saby, Pathology Education Manager (Courtney.Saby@osumc.edu). Complete fellowship applications will include: CAP Standard Fellowship Application, CV, Personal Statement, USMLE/COMLEX Scores, Photograph, and 3 Letters of Recommendation. Description: This is a one-year cytopathology training program at Wexner Medical Center at The Ohio State University, which includes the Arthur G. James Cancer Hospital and Research Institute. The cytology laboratory accessions approximately 36,000 cases annually. This includes 8,000 exfoliative non-gynecologic, and about 2,400 FNA specimens. The cytopathology fellow will experience preliminary sign-out of non-gynecologic and gynecologic specimens, gynecologic pap smear/cervical biopsy correlations, and performing and interpreting FNA under supervision of a staff cytopathologist. Twelve months are spent in clinical service as it relates to cytopathology with access to surgical pathology, frozen sections, molecular pathology, HPV DNA analysis, image analysis, flow cytometry, immunohistochemistry and research associated with cytopathology. The fellow will participate in the cytopathology teaching of cytotechnologists, medical students and residents. He/she may also participate in the regular resident microscopic seminars, hospital tumor boards, cytopathology teleconferences, CAP proficiency tests and formal cytopathology lectures. The fellow may participate in inspections as they relate to certification in cytology and quality assurance. Strengths of the program include the diversity of the cytopathology faculty as well as their strengths in gynecologic pathology, gynecologic and non-gynecologic cytology, flow cytometry DNA analysis and image analysis, and fine needle aspiration cytology. The Cytopathology Fellowship program at Wake Forest School of Medicine is offered to one fellow per year and is ACGME accredited. The overriding philosophy of the Cytopathology Fellowship is to create and enhance better diagnostic skills in both exfoliative and aspiration cytopathology in individuals considering a career in either academic or private practice pathology. The fellowship emphasizes reviewing and diagnosing clinical cytology specimens and interacting with the clinicians and radiologists who are working with these specimens. Interested applicants may apply here through our website. The Arkana renal pathology fellowship is a one-year program designed to train a well-rounded academic renal pathologist. With more than 16,000 medical kidney biopsies each year (native and transplant) and 15 renal pathologists from different training backgrounds, Arkana provides an unparalleled resource for training. We foster an environment in which every trainee can become an expert in diagnostic renal pathology, developing a full understanding of the lesions which can be seen in medical kidney disease. Because it is important for a renal pathologist to be able to design and carry out academic research, you will learn how to develop a research project, write a manuscript, and navigate the peer-reviewed medical literature submissions process. These projects can be developed utilizing our vast renal biopsy archive as well as the resources of the Arkana Biorepository and our zebrafish facility. Our fellowship is designed to maximize learning and minimize extraneous 'scut work' without educational value. You are welcome to work on projects on the weekend but there is no weekend on-call responsibility in fellowship year. We will provide a warm and supportive environment with a staff of pathologists eager to help you immediately step into a full-time renal pathology position upon successful completion of the program. The Department of Pathology at University of Texas Southwestern has two openings for the fellowship training program in Hematopathology for the academic year 2020-2021. The Hematopathology Fellowship is a one-year ACGME-accredited program with three positions/year. Our service handles approximately 2,000 bone marrows, 800 tissue cases, 5,500 flow cytometry cases, 600 consults, and 6,000 peripheral blood/body fluid specimens yearly. The diversity of cases provides exposure to a wide variety of hematopoietic benign and malignant diseases, in both adult and pediatric populations. The program provides unparalleled in-depth training in flow cytometry, including interpretation of leukemia/lymphoma, minimal residual disease, and paroxysmal nocturnal hemoglobinuria (PNH) testing. The faculty team is composed of six enthusiastic board-certified hematopathologists, with diverse academic interests and background. We strive to maximize the educational opportunities provided by the breadth of our cases, while promoting learning in a low-stress and encouraging environment. Our ultimate goal is to prepare the fellow for a successful career, whether in community-based hospital, academic practice, or commercial/reference laboratory setting. The program is structured as follows: Morphology 1 (inside cases); Morphology 2 (outside cases); Flow Cytometry; Coagulation/Lab Management; Cytogenetics/Molecular; Research/Elective. Ample opportunity for resident teaching is available. The fellows are expected to participate in interdisciplinary conferences, didactics and journal club. Additional conferences include “boot camp” teaching conference, slide consensus conference, and monthly WHO review. Participation in scholarly activities is tailored to fit the fellow’s career goals. Candidates must have satisfactorily completed AP, CP or AP/CP pathology training from an ACGME-accredited program, and must be eligible for a Texas medical license. Previous training should include at least four months in Hematopathology. At this time, we do not sponsor H1b visas. 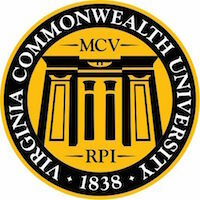 The Franz Von Lichtenberg Fellowship in Infectious Disease and Molecular Microbiology is an ACGME-accredited one-year training program in Medical Microbiology based at Brigham and Women's Hospital (an affiliate of Harvard Medical School), with options for elective rotations at the Centers for Disease Control (CDC). The fellowship is designed to train the next generation of leaders in infectious disease diagnostics and combines the traditional curriculum of medical microbiology (bacteriology, mycology, virology, and parasitology) with hands-on experience in anatomic infectious disease pathology and advanced molecular diagnostics, including pathogen genomics. The curriculum includes formal rotations in all areas of clinical microbiology, molecular diagnostics, and incorporates dedicated time for clinically-related research projects. Trainees review all anatomic cases with infectious etiologies and correlate case findings with clinical microbiology data. Fellows are also directly involved in the use, design and implementation of molecular, phenotypic and computational methods to diagnose infectious diseases, and to gain hands-on knowledge regarding the development and management of clinical workflows. Fellows have opportunities to teach in the microbiology and infectious diseases courses at Harvard Medical School, and in hospital-based conferences with the BWH Infectious Disease Division. Opportunities for research collaboration with faculty are encouraged and include topics in clinical microbiology, pathogen biology, host-microbiome-pathogen interactions, and immune responses to infectious agents. Candidates must have successfully completed an ACGME-accredited residency in anatomic and clinical pathology or in clinical pathology, or an ACGME-accredited residency program in internal medicine and an ACGME-accredited fellowship in infectious diseases. Candidates must be eligible for a Massachusetts medical license. Sanjat Kanjilal MD MPH, Sankha (Bobby) Basu MD PhD, Alvaro C. Laga MD MMSc, Francisco Marty MD. Applications - Accepting for 2021; also still accepting for 2020! Our ACGME-accredited one-year Hematopathology Fellowship at Saint Louis University School of Medicine is one of an apprenticeship in academic hematopathology. The trainee is the junior member of the hematopathology staff and during training become competent in all aspects of hematopathology, developing technical, managerial, consultative, diagnostic, and scientific skills. Integral to the trainee’s education is the correlation of the cytomorphological and histologic findings with the patient’s clinical presentation and other pathological findings including those seen in other areas of the laboratory, for example, the flow cytometric immunophenotypic findings, molecular diagnostic findings, as well as immunophenotypic analysis by immunoperoxidase and enzyme cytochemical techniques and the performance, interpretation, and application of coagulation testing. This one year ACGME-accredited program provides comprehensive training in all facets of Transfusion Medicine, including blood donor collection, immunohematology, transfusion practices, therapeutic apheresis, tissue banking, and stem cell processing. On-site and mobile blood collection provides fellows with invaluable experience in donor center operations. A state-of-the-art immunohematology laboratory, including molecular typing to determine extended red cell phenotype and identify variant red cell alleles, provides the fellow with numerous research opportunities and experience with cutting edge laboratory testing methods. The transfusion service supports numerous clinical services such as comprehensive cancer care, multi-organ transplantation, and stem cell transplantation, as well as trauma, neonatal, and cardiac surgical services, allowing the fellow an opportunity to manage complex clinical cases. The fellow also gains experience with inpatient and outpatient standard apheresis therapies, as well as low-density lipoprotein apheresis, photopheresis, and peripheral blood progenitor cell collection and processing. Supplemental rotations with the department's Coagulation and HLA/Immunogenetics Laboratories, as well as outside rotations at Children's Hospital Los Angeles and the American Red Cross reference laboratory can be arranged. Cedars-Sinai is a 969 bed tertiary care center that offers abundant learning opportunities, including approximately 55,000 blood product transfusions and 2,000 therapeutic apheresis procedures annually. Training includes experience in donor and transfusion services, therapeutic apheresis, tissue banking, stem cell processing, and coagulation. The fellow is expected to participate in regular conferences related to transfusion medicine and become involved in ongoing clinical and/or translational or basic science research, as well as participate in at least one quality improvement project within the department. Candidates must be board eligible/certified in AP/CP, CP, or Internal Medicine. California licensure is required at the time of appointment. The Department of Pathology and Laboratory Medicine offers a one-year ACGME accredited fellowship program in Cytopathology, a section of the department of Pathology at Cedars-Sinai Medical Center, a 969 bed tertiary care center. The Cytopathology Laboratory processes about 20,000 gynecologic, 7000 non-gynecologic specimens and 3000 fine needle aspiration biopsies (FNAB) including a significant practice of endoscopic ultrasound (EUS) guided procedures that produce both fine needle aspiration specimens and core biopsies with touch preps. The program offers a rich variety of clinical material and research opportunities for developing both an academic and clinical career. The Fellow will be integrated in a graduated manner into all aspects of the clinical practice of Cytopathology on a daily basis, including laboratory processing, diagnostic interpretation and reporting, cytologic-histologic correlations and active participation in the performance of superficial FNABs and intra-procedural evaluations of deep FNABs. Participation in at least one investigative project and department journal clubs is expected during the year. The Department of Pathology and Laboratory Medicine offers a one-year fellowship in hematopathology. Cedars-Sinai is a 969 bed tertiary care center in which the Hematopathology Laboratory offers a large volume of tests and provides a state of the art hematopathology laboratory including 10-color flow cytometry, FISH, immunohistochemistry, in situ hybridization, hemoglobinopathy by HPLC, molecular hematopathology, targeted sequencing analysis by NGS studies and special coagulation including extensive experience with thromboelestrogram (TEG). There is abundant hematopathology material with over 1,500 bone marrows and lymphoma cases from adult and pediatric patients per year. Training includes experience in flow cytometry, immunophenotyping, immunoperoxidase techniques, molecular diagnostics, and coagulation. The fellow is expected to participate in regular conferences related to hematopathology, coagulation, cytogenetics and molecular Hematopathology and involved in ongoing clinical and/or translational or basic science research within the department. Candidates must be eligible to sit for AP/CP, AP or CP boards. California licensure is required at the time of appointment. The Department of Pathology and Laboratory Medicine offers a one-year fellowship in renal pathology. We receive approximately 3400 kidney biopsies per year for comprehensive evaluation, including 80% native kidney and 20% transplant biopsies from adult and pediatric patients. In addition to light, immunofluorescence and electron microscopy, IHC and molecular studies are performed as appropriate. Cedars-Sinai has a large active transplant center, and there are ample opportunities for clinical and translational research in transplant and native renal disease. Training includes graduated responsibility in the diagnosis and reporting of renal biopsies, including performing electron microscopy, and interacting with nephrologists. The fellow is expected to participate in regular renal pathology conferences and participate in resident education during their required renal pathology rotation. Participation in at least one investigative project is expected during the year. Candidates must be eligible to sit for AP/CP or AP boards. California licensure is required at the time of appointment. One year ACGME accredited hematopathology fellowship is designed to provide eligibility for the American Board of Pathology subspecialty examination in Hematopathology. It is available to qualified, licensed pathologists who are board-eligible or board-certified diplomates of the American Board of Pathology in anatomic and/or clinical pathology. Fellowship includes exposure to full range of hematopathology including bone marrows, lymph nodes, body fluids, peripheral blood smears, flow cytometry, immunohistochemistry, molecular pathology, and coagulation. Hematopathology fellow and faculty work closely with clinicians providing an integrated learning experience. Over 1200 bone marrow specimens, 500 peripheral blood specimens and 150 lymph node biopsies are evaluated annually. Morphology and flow cytometry data are typically integrated before finalizing marrow and flow reports. Diagnostic services involve evaluation of post-transplant marrows including STR engraftment analysis. Clinical, translational and basic research opportunities include thrombosis, pathways in the development of hematopoietic malignancies etc. Fellows regularly present their work at meeting such as USCAP, CAP and ASH with publications in journals including Blood, American Journal of Clinical Pathology, Oncotarget and Leukemia. The fellow is expected to become proficient in clinical and laboratory evaluations of hematologic disorders, including evaluation of pathologic materials i.e. blood, bone marrow, and lymph nodes by longitudinal exposure to clinical material throughout the year with graduated responsibility. Responsibilities of the fellow include teaching Hematopathology to the residents, medical students and technologists. Candidates need to be eligible for and able to obtain Illinois State Medical License prior to starting the fellowship. Description: The Cytopathology Section of the Department of Pathology and Immunology at Washington University School of Medicine in St. Louis announces an opening for the 2021 - 2022 academic year. (The position for 2018 has been filled). The department offers a one-year ACGME-accredited program with extensive exposure and experience in fine-needle aspiration biopsy, gynecological and non-gynecological exfoliative cytopathology, as well as application of a wide range of adjuvant technologies to cytological diagnosis and correlations between cytopathologic and surgical pathologic interpretations. The cytopathology laboratory serves the Washington University Medical Center institutions of Barnes-Jewish Hospital and St. Louis Children's Hospital. Approximately 23,400 cytologic cases are processed and examined annually, including 5,600 non-gynecologic cases and 2,800 fine-needle aspiration biopsies. Although emphasis is placed on diagnostic cytopathology, academic and research activities are encouraged and supported. Requirements: include application, CV, personal statement, three letters of recommendation and letter from the residency director affirming your current status, all emailed as pdf documents to Sue Pagano at [email protected]. Description: The Hematopathology Section of the Department of Pathology and Immunology at Washington University School of Medicine in St. Louis has an opening for fellowship year beginning in 2021. We offer a one-year clinical fellowship for qualified applicants. This service includes adult and pediatric hematopathology, flow cytometry including Minimal Residual Disease (MRD) testing and exposure to molecular and cytogenetics laboratory testing in hematopoietic malignancies. Approximately 3 months of assigned elective time is provided to cover benign/wet hematology, performance of bone marrow biopsy procedure, research, molecular diagnostics, genomics and/or cytogenetics. The large referral quaternary care and urban hospital system associated with Washington University in St. Louis provides a broad range of cases comprising ~3500 in-house marrows (cores and aspirates), ~1500 lymph nodes and other surgical and non-surgical specimens, and ~1000 consult cases per year. The Adult and Pediatric Bone Marrow Transplant services together perform more than 400 transplants annually. Due to the high volume and diversity of cases, the fellows gain extensive diagnostic experience in the field of hematopathology, including uncommon disease entities, such as mature T-cell and NK-cell neoplasms and immunodeficiency-associated lymphoproliferative disorders. The fellow's responsibilities are broad and an increasingly independent approach to case work-up is encouraged. The fellow is regarded as the initial pathologist on all cases and is expected to write pathology reports integrating morphologic description and all ancillary studies (immunohistochemistry, flow cytometry, molecular and cytogenetic testing results). The fellow is seen as the primary contact for referring physicians and will work closely with the clinical hematology and/or oncology fellows and faculty, gaining insights into the clinical management of patients. The fellows present weekly at the lymphoma and bone marrow transplant conferences, monthly at cytogenetics and molecular correlation conferences, and at journal clubs assigned to them. The fellows are expected to participate in hematopathology-related translational projects for which funding is available. Trainees with strong basic research interests can opt to be a part of a stimulating and collegial research community with top-notch facilities and resources as their future goals. Exposure to next generation sequencing data analysis of targeted cancer genes associated with hematologic malignancies can be obtained during the elective time, if the fellow desires additional clinical exposure to this evolving field of molecular hematology. This program provides a strong basis for clinical practice including challenging cases in both adult and pediatric hematopathology, as well as opportunities for cutting-edge basic, clinical, and translational research. Upon completion of the program, the fellow will have the necessary skills and experience to successfully pursue a clinical and/or academic career in hematopathology. Requirements: Applicants must be Board eligible or certified in anatomic and/or clinical pathology. To apply, please submit all materials by email to Sue Pagano at spagano@wustl.edu. 2. CV with names of 3 references. 3. Three letters directly mailed and/or emailed by your references to the program. Description: The Department of Pathology and Immunology at Washington University School of Medicine in St. Louis announces openings for 2021 - 2022 for an accredited Surgical Pathology fellowship. This is a one-year, ACGME-accredited fellowship. The Division of Anatomic and Molecular Pathology at Washington University Medical Center (WUMC), St Louis, Missouri, trains six surgical pathology fellows per year; five of the positions including the open position are general surgical pathology fellowships. The Division comprises thirty academic surgical pathologists. Approximately 46,000 in-house surgical specimens are accessioned per year, covering all facets of modern clinical practice, along with approximately 10,000 consultation cases, which include personal consults in specific focus areas. The department follows a hybrid subspecialty model. Current rotations include frozen section, gross room, consults, head and neck, gynecologic, breast, liver/gastrointestinal and elective. Fellows are given a high degree of independence in working up cases which they subsequently sign out with the attending staff. The fellowship program includes strong training in intraoperative consultation, and fellows read frozen sections independently after business hours (attending support is available). 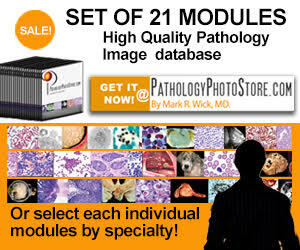 Experience with immunohistochemistry, special stains, molecular diagnostics, and other ancillary techniques is integrated into the workup of diagnostic cases throughout the training period. Elective time allows for fellows to round out training in other subspecialty areas and to learn about, and participate in patient safety and quality assurance activities. Opportunities for involvement in clinical research projects with the faculty are numerous. Applicants must possess an MD degree or DO degree (or foreign equivalent) and must be board-certified or board-eligible in anatomic pathology at the time the fellowship begins. Applicants must be legally authorized to work in the United States. Support will be commensurate with the applicant's level of postgraduate training. Jon Ritter, MD, Program Director; Ian S. Hagemann, MD, PhD, Associate Program Director; Rebecca Chernock, MD, head & neck and surgical pathology; Erika C. Crouch, MD, PhD, breast pathology; Sonika M. Dahiya, MD, neuropathology and molecular genetic pathology; Louis Dehner, MD, pediatric, dermatopathology, and surgical pathology; Samir El-Mofty, DDS, PhD, head and neck, and surgical pathology; Joseph Gaut, MD, PhD, renal, GU, and surgical pathology; Hannah Krigman, MD, gynecologic, renal, and surgical pathology; Michael Kyriakos, MD, orthopedic and surgical pathology; Horacio Maluf, MD, surgical and gynecologic pathology; IlKe Nalbantoglu, MD, gastrointestinal and surgical pathology; Deborah Novack, MD, PhD, breast pathology; John D. Pfeifer, MD, PhD, gynecologic and molecular genetic pathology; Marianna Ruzinova, MD, PhD, gastrointestinal and hematopathology; Souzan Sanati, MD, breast and cytopathology; Jennifer Sehn, MD, surgical pathology; Kiran Vij, MD, gynecologic and hematopathology; Dengfeng Cao, MD, PhD, surgical, gynecologic, and GU pathology. The Breast Pathology fellowship based at the Department of Anatomic Pathology, H. Lee Moffitt Cancer Center (MCC) is a one-year fellowship designed to provide extensive exposure to diagnostic, prognostic and theranostic breast pathology as well as multidisciplinary management of breast disease. The fellow will participate in intraoperative gross examinations of breast specimens, intraoperative evaluation of sentinel lymph nodes, sign out of cases, and breast multidisciplinary tumor board discussions. The fellow will also have 3-4 weeks of clinical rotations through the breast medical oncology and radiation oncology clinics as well as surgical oncology including OR observership. The fellow will actively participate in teaching pathology residents, surgical oncology fellows and visiting international physicians. The fellow will have dedicated research time and will be required to be involved in departmental basic and translational research activities and contribute to publishing abstracts and peer-reviewed articles. Requirements: Applicants must have at least three years of AP training or four years of AP/CP training in an ACGME accredited program and must be eligible for AP or AP/CP boards. You can read more about Moffitt's fellowships at https://moffitt.org/careers-education/education/undergraduate-and-graduate-medical-education/. The Department of Pathology and Cell Biology at the USF Health Morsani College of Medicine offers a one-year fellowship in Cytopathology, beginning July 1 and based primarily at the NIH-designated comprehensive Moffitt Cancer Center (MCC) with 1-month rotation at the University-affiliated James A. Haley VA Hospital. The ACGME-accredited program provides extensive training in all areas of Cytopathology, including gynecologic and non-gynecologic specimens as well as performance and interpretation of fine needle aspiration biopsies. The fellow is required to conduct research and expected to bring to completion at least one research project upon graduation. There is strong departmental and institutional support for research and additional education funding will be available for the fellow to attend or present at national conferences. The fellow is required to attend weekly educational conferences and involved in the education of pathology residents during electives in Cytopathology as well as surgical oncology fellows during their 1 month rotation. This is a premier cytopathology fellowship program. In addition to the large number and complexity of cases, another great advantage of this program is the faculty to fellow ratio of 14:2. Faculty are experts in their perspective fields with national and international recognition. Many test books and book chapters are edited or authored by our faculty and trainees. For the past 10 years all of our fellows have passed the Cytopathology board successfully and are practicing as Cytopathologists in an academic setting, VA hospital, community hospital or large laboratories. Many of them receive institutional or national awards. The graduates stated that they had extra niche in pancreatic cytology, intraoperative cytological evaluation of sentinel lymph node of breast cancer, and bone and soft tissue cytology. They also have additional exposure to performing fine needle aspiration biopsy of thyroid. Requirements: Applicants must have four years of Anatomic Pathology (AP)/Clinical Pathology (CP) training or at least three years of AP training and eligible for the AP/CP Board. Board certified candidates who have completed a surgical pathology fellowship are preferred. Applications: We are currently accepting applications for AY 2021-2022 until August 31, 2019. Request applications from Angie Courtney, Fellowship Education Coordinator at angie.courtney@moffitt.org and 813-745-8535. The Department of Anatomic Pathology and Laboratory Medicine at Moffitt Cancer Center, Tampa, Florida offers a one- year fellowship in experimental and translational Oncologic Molecular Pathology in conjunction with ongoing exposure to Surgical Pathology. Our fellowship provides the successful candidate an opportunity to pursue translational research in personalized cancer care. Duties will include advanced molecular analysis including ISH, image analysis, molecular pathology, and next generation genomics. There will be ample participation in biobanking, retrospective specimen review, TMA construction, and opportunities to learn and participate in translational studies including biomarker intensive clinical trials. Successful candidates will be Florida medical licensed or eligible, board certified or board-eligible, and have completed an ACGME-accredited Anatomic Pathology residency. The cytopathology training program is a one-year ACGME approved program designed to provide the fellow with the necessary opportunities, experience and background to become proficient in all aspects of cytopathology. This includes development of diagnostic skills in the interpretation of gynecologic and non-gynecologic specimens as well as performance and interpretation of fine needle aspiration biopsies. Training is conducted at Tulane University Health Sciences Center (TUHSC) and Ochsner Medical Center (OMC). Eight months of training are conducted at Tulane and four months at Ochsner. At TUHSC cytopathology accessions over 6,400 cytology specimens (gyn including liquid based SurePath Pap tests: 5,013; non-gyn: 829 and aspiration cytologies: 618) and at OMC over 49,000 cases (liquid based ThinPrep tests: 42,000; non-gyn: 3,900 and aspiration cytologies: 1,600). The fellow is expected to gain the necessary administrative skills in management of an active cytopathology laboratory including quality assurance and quality control. The fellow upon completion of the fellowship has skills in cytopreparatory techniques and use of ancillary techniques such as flow cytometry, imaging, immunocytochemistry and molecular diagnostics as they apply to practice of cytopathology. The fellow develops during the fellowship curriculum necessary interactive skills to communicate effectively with clinicians, radiologists and pathology staff and faculty. Upon completion of the fellowship program the fellow will be competent to practice independently and meet all requirements in daily practice of cytopathology. Board eligible or board certified in AP/CP or AP pathology and eligible for a Louisiana State Medical license. Only J1-Visa accepted. Stipend is commensurate with year of postgraduate training.